• Having a Bachelor’s Degree in Architecture or Architectural Engineering. • Certificate Attested by UAE. • Should have at least 7-10 years of progressive experience in Architecture, 5 years from this is a growing experience in the same field in UAE with an emphasis on Architectural Design of High Rise Residential/Commercial Buildings & Towers, Luxury Villas & Palaces, Multi-Use Complex, Mosque and Recreational Facilities. 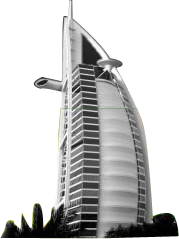 • Ideally knowledgeable of current UAE laws, codes and titles in relation to construction and design. • A member of the Society of Engineers-UAE is an advantage. • A keen interest in the built environment and the dedication to see projects through to their conclusion. • Strong interpersonal and team building skills. A draftsman turns ideas into detailed plans for the engineering, manufacturing or construction industries. Typically using computer design and drafting software, draftsmen produce technical drawings to serve as a visual guide during manufacturing or building. Also called drafters, they make working plans for buildings, roads, bridges, vehicles and all kinds of manufactured products, including electronics. We are urgently looking for ACAD DRAFTSMAN for our Abu Dhabi project. Help design products with engineering and manufacturing techniques. Work from rough sketches and specification created by engineers and architects. Specify dimensions, materials and procedure for new products. Prepare multiple versions of design for review by engineers and architects. Design plans using computer aided design and drafting CAD software and revit as well. Design,prepare and revise drawings and layouts of the given structures and components. Produce draft designs and diagrams according to the given specification. Prepare drawings and diagrams for the sheet metal components, electrical devices and installations. Assist, coordinate and collaborate with designers, constructors and engineers. Calculate dimensions and allowance with accurate precision as well. Accommodate safety procedures, issue in installation and construction drawings. Perform facade cladding works and the requires detailing. Coordination with MEP , civil works and submittal procedures. Experiene in ACAD 3D MAX (MAYA & Photoshop) is mandatory. Multi National Company has a vacancy for a draughtsman / engineer to join the team responsible for the region: India, Middle East & Africa. This position is based in the Dubai Office. We are urgently looking for REVIT ARCHITECTURE DRAFTSMAN for our Abu Dhabi project.